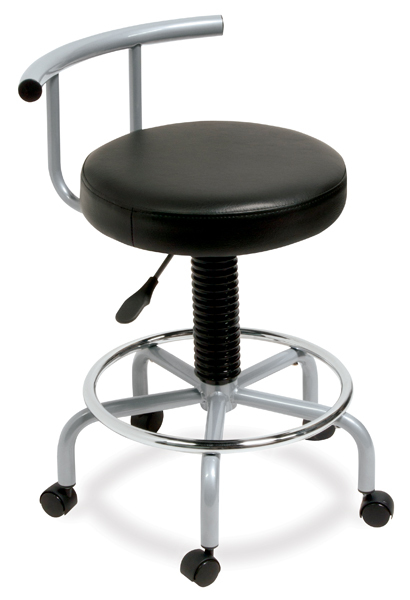 This stool matches the Studio Designs Futura LS Workcenter. It allows users to glide between the flat top and tilted top with ease. It features a five-star metal base with casters, for stability and mobility.